A melting pot of contemporary wonders and ancient culture, Tallinn, Estonia’s beguiling capital is one of Northern Europe’s most fascinating travel destinations. 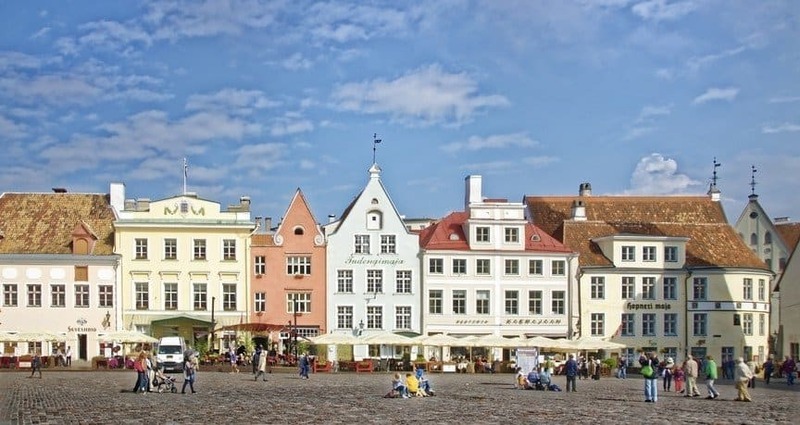 A renowned gem of the Baltic, the capital holds within a UNESCO Heritage Site, Tallinn’s famous Old Town, that has exquisitely preserved its medieval past and rich, colorful history. Plus, a creative city that will take you deep into the heart of Estonia’s artistic prowess. Needless to say, Tallinn is a destination worth booking. Cure the bite of the travel bug, but not with a quick stop when the city deserves a meaningful exploration. As such, you need the right accommodation of pocket-friendly options, without compromising on the much-required secure and comfortable stay. Yes, traveler, we’re talking hostels. To guide you to the best ones in the city, check out our top picks of the best hostels in Tallinn, from the cheapest to the most-reviewed. You’re either the sociable backpacker or a solo traveler looking to savor your Tallinn experience in your own terms. Whichever the case, the hostel of your choice should be secure, clean, comfortable, and fitted with essential amenities at reasonable rates. Look for a hostel that is located close to the city’s main interest points, with options for hassle-free transportation. Let’s give bonus points for complete facilities, activity areas, dedicated hang-out spots, in-house bar, social potentials, and friendly and helpful staff to seal the deal. 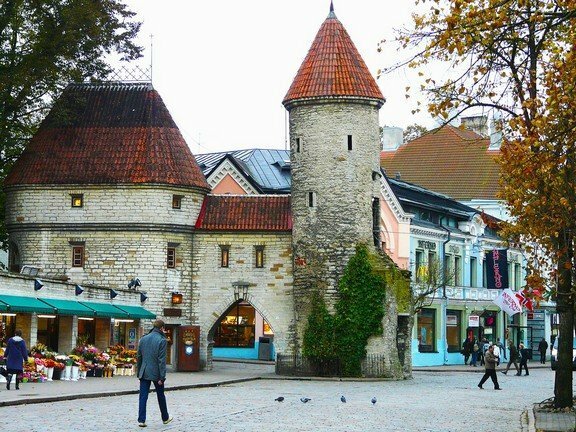 If you’re a first time visitor in Tallinn, stay at a hostel in the Old Town or city centre. These are prime locations to get you easily towards the city’s popular landmarks. Budget-oriented hostels dot the area, as well as bars and clubs if you’re looking to experience Tallinn’s nightlife. If you’re traveling with family, the hostels in the Kadriorg area (located east of the city centre) brings you close to the Baltic Sea. Definitely, a day at the beach is something the whole gang will enjoy. Then there’s the Kalamaja neighborhood if you want to stay in a cool vibe, a hip area highlighted by the colorful street art of the Culture Kilometer. 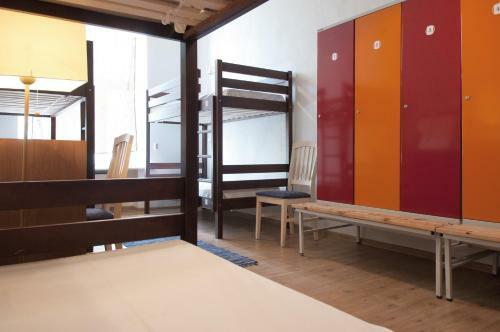 If you’re looking to book a dorm room, the rate can go from $10 - $18, with an average Tallinn hostel price at $14. Meanwhile, if you’re more comfortable in a double private room, then you will shell out an average of $34, with a price range of $22 - $58. Tallinn's public transport network is efficient and accessible, consisting of buses, trams, and trolleys. The network operates from 6 AM - 11 PM. Popular routes start from 5 AM until midnight. Bus routes are numbered from 1 - 73 and almost all of them go through the centre. Bus stops with most routes include Viru Keskus, Kaubamaja, Estonia and Freedom Square. Trolley routes will take you from Balti Jaam railway station and the city centre to Tallinn's western suburbs. To give you an idea of what type hostel best suits your needs and preferences, know that there are 7 to choose from cheap hostels, if you’re on a shoe-string budget; homestay for that home away from home, laid-back setup; boutique hostels with the upscale design and feel; party hostel, you guessed it - where the party happens. Traditional youth hostels, with big dorms and common areas primarily for big groups (e.g. team-building, school excursions); activity hostel aka backpacker hostel, usually situated close to main activity areas; and the 5-star hostels where local value meets high-end facilities. Before fully committing to your hostel of choice, it doesn’t hurt to first go through the reviews of the establishment’s previous guests. Make sure that the reviews are recent. Guest feedback will give you as much information as you need such as quality of accommodation, available amenities, extra charges, staff hospitality, and other insider knowledge that should contribute to your booking decision. 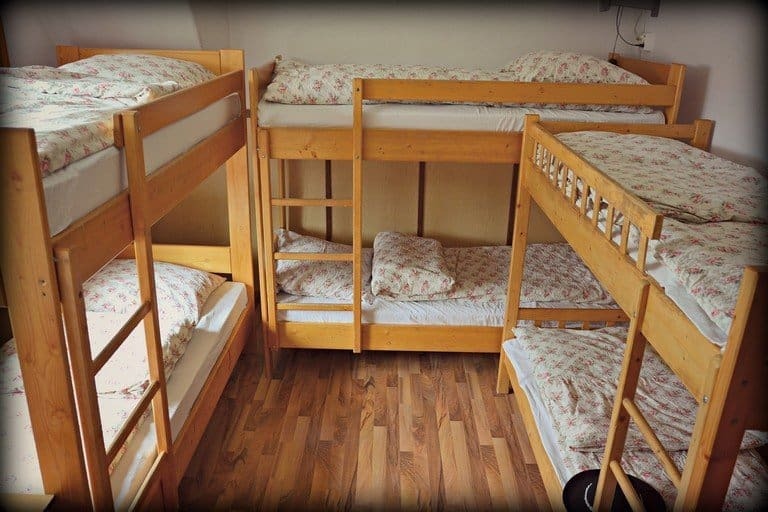 To get a quick grasp of the hostels in Tallinn that are listed on this post, check the comparison table and find out yourself which you think is the best fit for you. These are traveler-favorite properties with great reviews, excellent staff, and a promise of an overall great stay. If you are on a budget, here are the hostels in Tallinn that you want to check out and book. Keep in mind that maybe they are the cheapest because they are not in the best location or it's a hostel that needs renovating. If you book one of these hostels, don't go expecting a 5-star experience. You can always go to other hostels to hang out and meet people. if you are lucky enough, there are hostels that are super affordable and amazing at the same time. Saving the bucks for more Tallinn eats, souvenirs, and activities? These well-rated hostels offer the cheapest options yet are also among traveler-favorite properties with great reviews, excellent staff, and a promise of an overall great stay. From sightseeing to shopping, to nightlife activities, the United Backpackers Hostel makes Tallinn’s must-check-out spots easily accessible, either by wheels or on foot. This three-story hostel is equipped with a self-service laundromat, entertainment area, computer corner, shared self-service kitchen, full-size pool table, and a common area that used to be a bomb shelter! All rooms are heated and come with personal lockers and lots of electrical sockets. How about this for a cool touch - your bed comes with a reading light! great location! Near Old Town, airport, bus station, and supermarkets. The Imaginary Hostel gives you real value for your money with a perfect location that’s right in the heart of central Tallinn. The hostel has a small outdoor terrace overlooking the red-tiled roofs of the medieval Old Town, shared lounge that’s great for meeting and socializing with other guests, a shared, well-equipped kitchen to store, prep, and cook your meals, and clean rooms fitted with comfortable beds and desks, and with heating, too. There are enough toilet and shower facilities so no waiting game during your stay. Undoubtedly, the Knight House’s most attractive selling point is that this 700-year old building is actually a UNESCO listed monument. Get pocket-friendly rate for great historical value and quality accommodation that this hostel bed and breakfast offers. The Knight House’s rooms are decorated in themes, with large windows and wooden floors. The free pancakes for breakfast are all the rave with guests. There’s a common kitchen, dining area, and a large lounge that leads to the terrace for a relaxing spot to hang out and catch up with other guests. 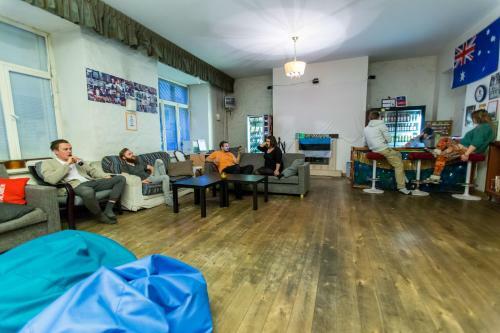 If fun is what you seek, party fun is what you’ll get in these top party hostels in Tallinn. Old-world charm meets modern party vibe in these popular stays packed with travelers and locals looking to meet new people and make the most out of their Tallinn vacation. From dusk ‘til beer o’clock, the Monk’s Bunk Party Hostel is all about giving their guests an unforgettable stay. Theme nights range from beer pong tournaments, dress up parties, to their famous Wizard challenge. You can also join movie nights and pub crawls that will connect you to Estonian locals who are all about painting the town red. In terms of amenities, Monk’s Bunk is fitted with custom-made beds, shared bathroom facilities, heating, shared kitchen, shared and lounge area. Looking for a perfect blend of good time and a good night’s rest? Then Tallinn Backpackers is the hostel to book. Both a great place for solo travelers and a fantastic party hostel, Tallinn Backpackers exudes a lively yet cozy atmosphere that makes for an ideal social place for its guests. Nightly group programs and parties are organized, ending no later than midnight to give you a restful snooze. The hostel’s facilities are designed for comfort, with modern amenities such as brand new showers, spacious dorm rooms, and a shared kitchen that’s furnished for easy meal preparations. These most reviewed hostels heap praise from their previous guests, and all for good reasons. 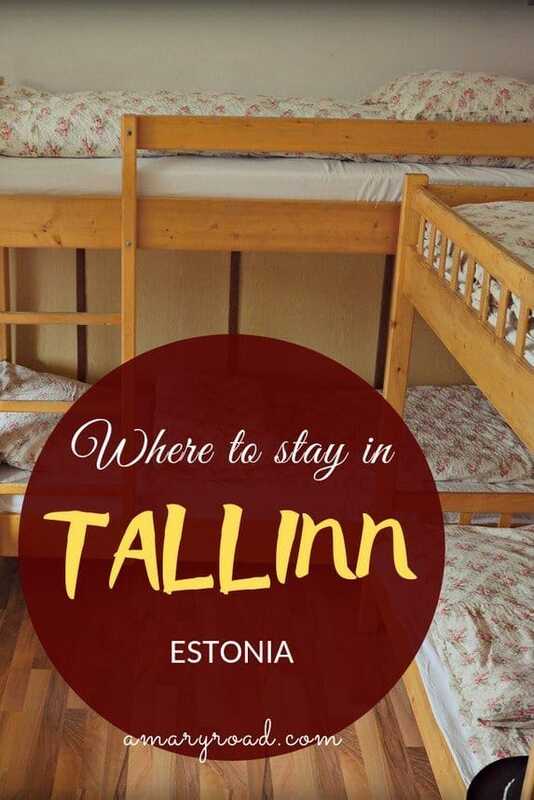 Great accommodation makes for a great experience, and to give you an idea which best hostels in Tallinn are enjoying all the awesome ratings, we took the liberty of putting together the top 3 notable stays, calculated based on the buzz they make for excellent overall service. Note: These hostels earn their spot on our list based on the accumulated number of reviews plus rating from both Booking.com and HostelWorld, B+H = X out of 20. Fat Margaret’s excellent location near the picturesque Tallinn Bay and at the gate of the Old town is complemented by its friendly and helpful staff, cozy, heated, and well-equipped rooms, and clean common spaces. Inside you’ll find an indoor pool that’s open all year round, a sauna, bar, shared lounge area and a shared kitchen. The relaxed atmosphere makes it an ideal place to share a good conversation with fellow travelers from all over the globe. The vibrant Red Emperor Bar & Hostel is well-reviewed for its cleanliness - from rooms, bathrooms, down to its common areas. The rooms are colorful and exude an air of creativity. The shared kitchen is fully equipped to make your self-prepared meals a breeze. This laid-back hostel in the morning turns into a fun, social place to hang out at night as the bar welcomes patrons and guests looking to top off the day with a cold, cheap beer. There is, too, a common lounge where a giant Jenga and pool table is readily available to give guests more options for fun activities. 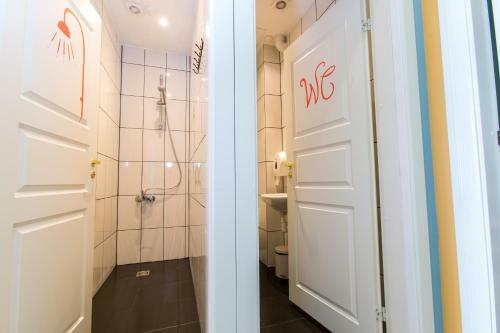 Located right around the corner of the Town Hall Square, this relaxed-vibe hostel boasts of spacious, clean toilets, newly-renovated rooms with comfortable beds and free linens. Old Town Hostel Alur gathers guests for social nights with movies, games, and just have a straight-up fun time with the group. The hostel has a shared kitchen, common room, and a terrace. You can use irons, hair dryers, and luggage storage without charge. And here’s a great addition - the hostel provides a discount at a nearby restaurant, souvenir shop, and popular pub. You’ll find many great options for accommodation in Tallinn. With this guide and bit more of research, you will no doubt book an unforgettable stay that can give you comfort, good time, and the best impression of Tallinn’s hospitality to make your visit to Estonia’s economic, historical, and cultural hub all the more worthwhile. I hope we helped you choose the best hostel in Tallinn for your visit. If you have any questions, let us know in the comment section below.